There are many variances to interpret when looking at the Bi-Weekly Productivity Report©. What was the cause of my variance… FTEs, salaries, volume, premium spending, non-productive time? Oftentimes a manager can become overwhelmed with data and they simply need a cheat sheet or calculator to “decode” the results and identify areas of opportunity. The Performance Calculator© will tell the manager exactly what drove the variance. 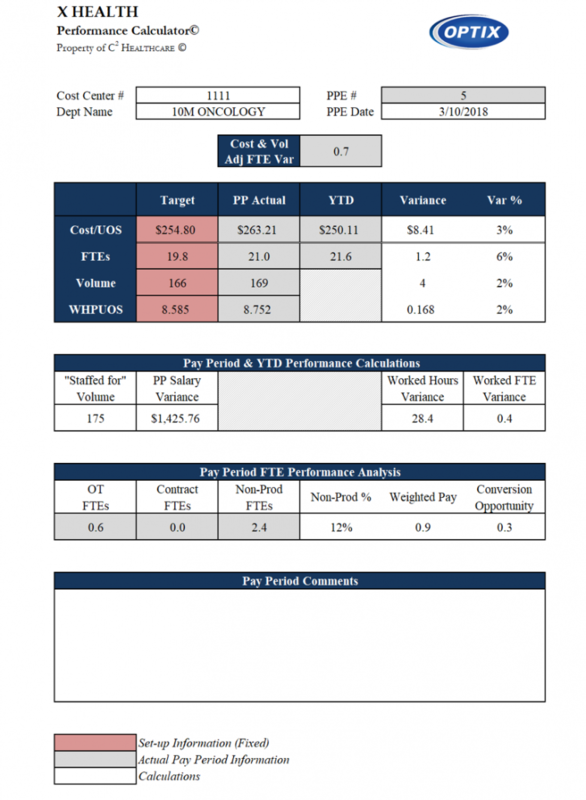 This tool is an excellent resource to use for variance reporting as there are also trending reports attached to depict the year to date trends with hours, FTEs, salaries, volume and worked hours per unit. Specific Department Level Interpretation.